Meet CoSchedule #IRL At INBOUND 2017 in Boston, September 25-28th! Are you planning to be at INBOUND 2017 this fall? Well, my friend, this is your opportunity to learn from CoSchedule + meet us in real life! CoSchedule’s CEO and Co-Founder, Garrett Moon, will be leading a session + a lot of very excited CoSchedulers want to meet you at our booth. So… if you’re in Boston September 25-28, come check it out! Imagine going from zilch to 1.3 million monthly page views, 200,000+ email subscribers, and 8,000+ customers in less 3 years. It all started with killer content. 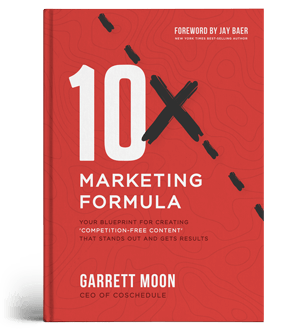 The secret to exponential growth comes from creating blue ocean content that differentiates AND drives 10x traffic. When you attend this session, you’ll learn CoSchedule’s proven and repeatable process for developing content that wins every time. This session is on the INBOUND recommended agenda for advanced marketing. It’s going to be awesome. And you’ll be awesome-r for attending. Do you have questions about marketing? What about CoSchedule in general? 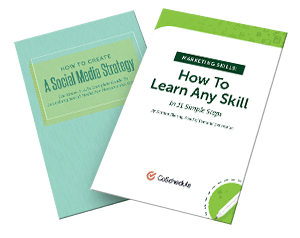 Do you want to geek out about anything + everything marketing? See the newest + coolest CoSchedule functionality that will help you get completely organized. Leave with some pretty sweet CoSchedule swag, possibly even an autographed book by Jay Baer, and more. I cannot tell you how excited we are to meet you #IRL! Plan to attend Garrett’s content hacking session Wednesday, September 27, at 11:45 a.m.-12:30 p.m. You’ll learn how we create content that stands out and builds a massive audience so you can do it, too. Visit the CoSchedule booth any (or every!) day Monday-Thursday, September 25-28. You can ask us anything + learn how CoSchedule will help you get organized. So excited to see CoSchedule at #inbound17!! !